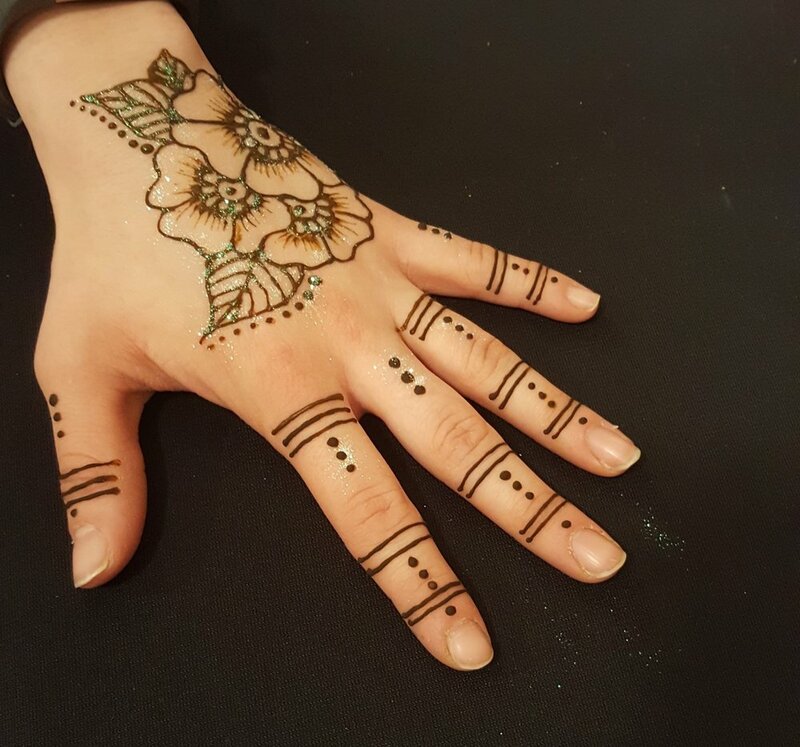 Join us for Henna Lounge, a social afternoon with henna art and and chair massages. 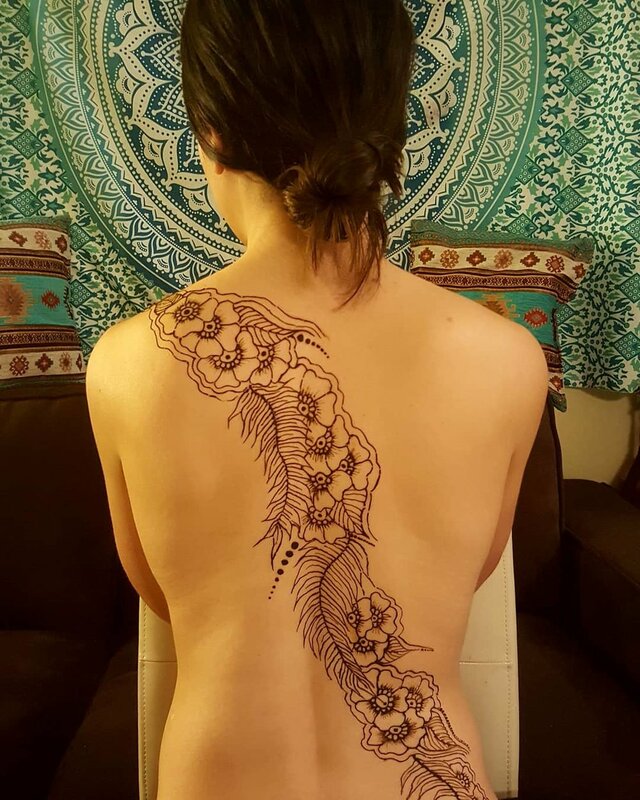 Treat yourself to a 10 Minute organic henna art by artist Kadina, 10 minute professional chair massage by Gretchen Schilke or both! Feel free to bring a yoga mat! 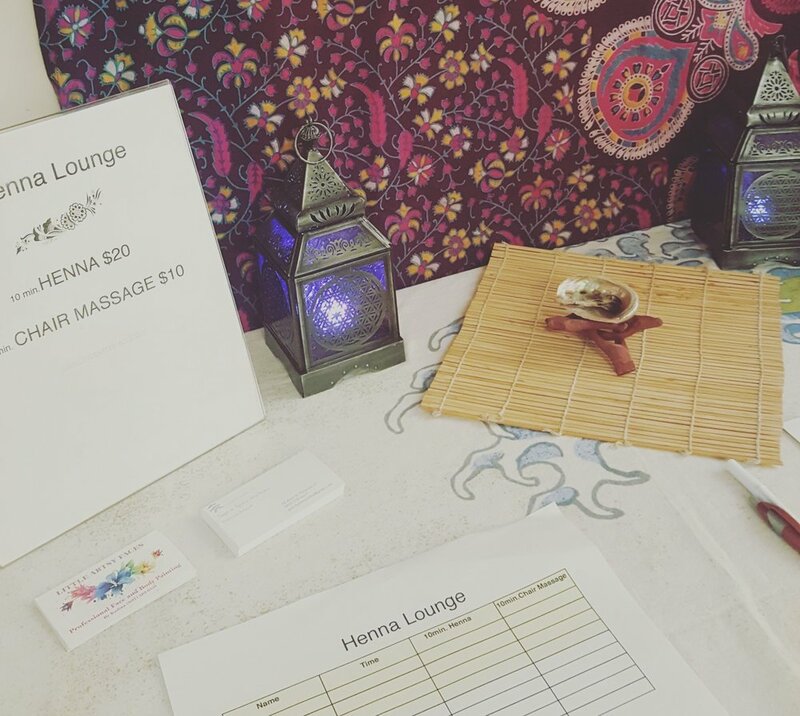 Enrollment is FREE the service cost is $10 for 10 min chair massage; $20 for medium size organic henna design.